\Integrated soft zones in handle bulge, transfer high tightening/loosening forces without losing contact with screws. Great quality tool from Wera, as usual. No blemishes or defects. Flexible without giving up too much torquing power. Flexes enough to get at hard to reach fasteners but allows a good amount of torque. Bits have no play at all when attached in the quick-release chuck. And has a very strong magnet to hold screws. 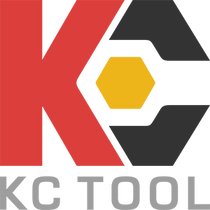 Very solid, quality made tool. I bought this as a solution to my problem of getting to the srews behind the door handles of my house. Ever since I saw a review of Beta flexible nut drivers I wanted them. I never bought them, I could not justify the ridiculous price for a flexible shank (steel cable bound) driver. i looked at getting a cheap universal flex driver probably made of Chineseum but once I saw this Wera I ordered it. When I received the driver I knew this was going to sit in my tool box for a long long time. This is amazingly high quality. i don't see breaking this or rubbing through the flex shaft any time soon. This is perfect for automotive work, reaching fasteners or hose clamp nuts/screws in odd places. A great tool and a must for any tool box.